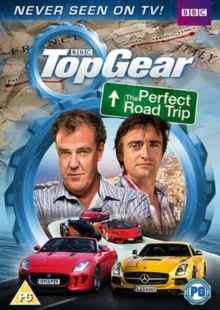 Jeremy Clarkson and Richard Hammond go on a seven-day road trip from Venice, Italy, to Pau, France, in this special episode from the BBC motoring series. Along the way the pair visit the Autodromo Nazionale Monza race track and take to the road in Monaco. The show features a range of cars including a Ford Model T, a Ferrari F12 Berlinetta, a Porsche Cayman S and an Aston Martin Vanquish.